A Fresno County man says he came home to find a burglar on the property where he lives. FRESNO COUNTY, Calif. (KFSN) -- A Fresno County man says he came home to find a burglar on the property where he lives. The Fresno County Sheriff's Department officials say they were called out to the home near Marks and Barstow. The location is within the Northwest Fresno area but is located outside of the city of Fresno. The man told investigators that he chased away the burglar. We have also been told that bullet shells have been found at the property, but investigators say it is not yet clear how they are connected to the crime. 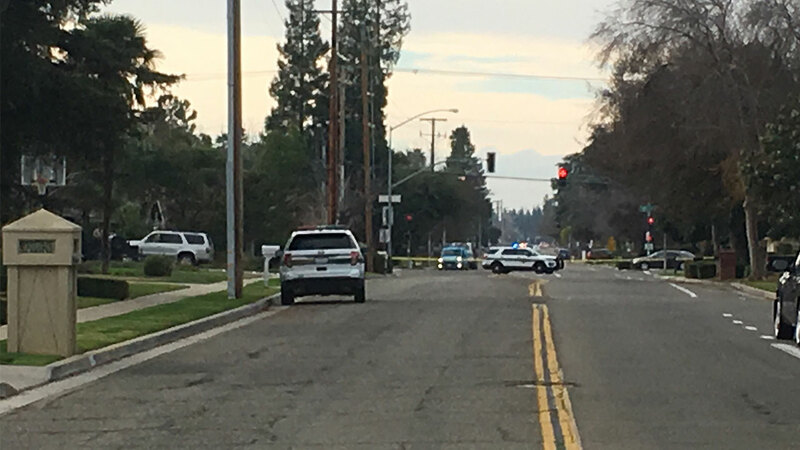 Investigators also say that they are looking to see if this crime is connected to a gunshot victim that is being treated at Community Regional Medical Center in Downtown Fresno. Barstow Avenue is currently closed between Briarwood and Marks as law enforcement continues their investigation.